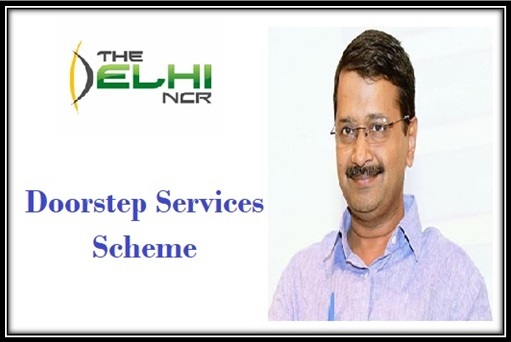 The residents of Delhi are all set to get several government services delivered at their doorstep with the help of this Delhi Doorstep Services Scheme. This means that the government officials will visit your house and deliver the services to you. It is the first of its kind to be availed anywhere in the country. Certificates at your doorstep: The main idea of this scheme is to provide the certificates and the official documents to the doorstep of the individuals. No more long queues: The best benefit of this scheme is that it will kill the long queues and it will also save time for both the people and the government. Fee: A nominal fee shall be charged for providing these services. However, the government is yet to decide how much they should charge for these services. Time efficient: This process is likely to save a lot of time of the residents of the state. It will at the same time ensure that you are getting the benefits according to your time. Easy availability of ID: You no longer have to carry your vital documents from place to place. You can keep them at your own home wherein the officials can verify it from. In the first phase, the government will provide many services. But still the citizens will have to go to the office if their physical presence is necessary for the same. In this phase about 15 services (mentioned below) will be included. From 2018 to 2019 the first phase of this scheme shall be implemented. In the second phase of implementation, total 40 public services are aimed to be provided at people’s doorstep. The government will keep adding such services till all the services are in the list. The mobile Sahayaks will be chosen via private organizations. Not only that, the government also aims to set up call centers across the state so that whenever someone needs assistance, they can call the mobile sahayaks. The mobile Sahayaks will be very flexible in the fact that they will visit your house and then complete all the formalities. You can therefore fix an appointment with the sahayak over telephone in future. The Mobile Sahayaks will also be very well equipped. They will carry all the necessary machinery such as a camera and the biometric devices to take the prints. This scheme has been set up with a very beneficial idea. But it is still at a nascent stage. Only after its implementation the government will figure out the full scope of events. However, if it is properly implemented, it has the potential to transfer services at a greater efficiency. Hassle-free procedure – Many people live too far from the ration shops, or don’t have any way to get to these outlets easily. With the implementation of this scheme, such individuals will no longer have to worry about this problem. They can get the ration delivered right to them homes. Facility to pick preferable time – The best feature of this new scheme is people will be able to pick a date and time that is convenient for them. The ration will be delivered to their homes on that date and time. Freedom from theft – Several cases had been registered, which highlighted that grains were stolen from ration shops and sold at higher rates elsewhere. When this project becomes operation, issues like these can be dealt with ease. Assurance of quality – The scheme also highlights that from now on, home delivery of ration will be done in sealed packets. So, there is no way to lower with the quality of the grains. It will keep adulteration and corruption away. Inviting tenders – To carry out the doorstep delivery of ration easily, the authority has already issued an official tender. It invites interested distributors to get in touch with respective department within the coming month. In a recent announcement, Delhi AAP government declared that it will soon launch a new scheme that has been targeted towards young college students. Many students drive to the colleges on a daily basis. But not all have proper driving licenses. It often causes accidents. Under the new scheme, interested college principals can attain special permission from the government and offer learner’s driving license to the students. This scheme will not only reduce pressure on driving schools, but will also make it easy for college students to attain their driving license. The license that colleges issue will lose its validity after a span of six months. Students must attain a proper license within these six months. How to easily opt for delivery service at your doorstep via smartphone? Pertaining to home delivery service, a unique implementation procedure has been introduced making it easy for the customers. The doorstep delivery scheme has been planned. In addition, call centres have also been planned by the Delhi government to provide better facilities to the customers. Just by dialing the toll-free number 1076, the customers can avail 40 services of doorstep delivery service. After making the call, the customer care executive would ask for the further details of the required service that the customer wants. Following this, the executive would inform the person about the required list of documents that would be required in order to avail the benefits of the doorstep delivery service. In case the person does not have the required any of the legal papers, then he or she has to request for an appointment in order to showcase the required documents. After submitting all the required services, the customer would receive a message from the service centre, and it would be forwarded by the Mobile Sahayak. The message would contain the detailed information about the fee and the other details of the requested service. The customer should keep the message for any future use. It is further known that the mobile Sahakay would get in touch with the customer in the mentioned time and provide him or her with the details of the service. It is the responsibility of Moile Sahayak all necessary details of the customers that would be required to provide him or her with the necessary services. In this regard, a unique mobile application is also required through which the service can be easily facilitated. In order to authenticate the use of the application, identification of the customer would be required via biometric facilities. The mobile Sahayak would be responsible for logging in to the official website of the service and put the required details of the customers. It also includes uploading the photograph of the service seeker. Some necessary documents should also be included within the important information. In case of offline service, the hard copy of each of the documents would be required to be provided. For the applicants who are opting for the service through the official website of the service, they have to make the necessary payments through the official gateways of the Delhi government. For the candidates who are opting for an offline facility of the service, they will have to make the payments through cash. For better security, an OTP would be sent to the customers only when they have completed the biometric procedure. A specific ID would be provided by the portal that would be used by the Mobile Sahayak for identification purpose in providing the service to the customers. The confirmation of the service would be provided via an email or text message. Following this, the person seeking the service would receive regular notification from the doorstep service scheme. In this way, it would help the customers to keep a track on the application. The notification would come via the text message service. After the submission of the hard copy of the required documents, it is the responsibility of the service provider to mention the same in the application form of the service seeker. In this way, by going through some of the easy steps, the service seeker would be able to access the 40 services provided by the doorstep service scheme.